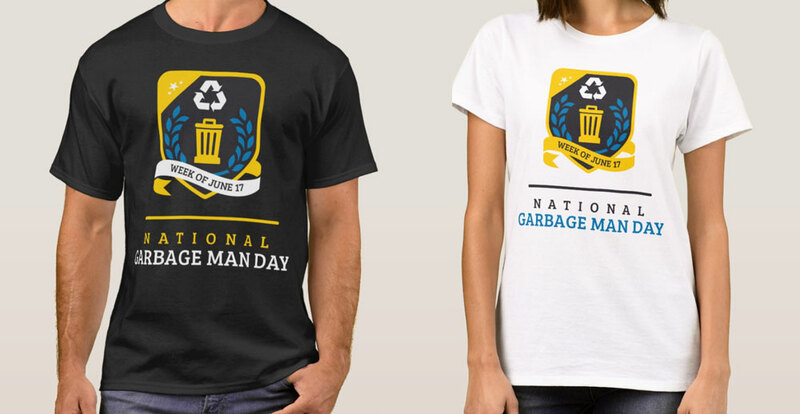 Ready to show your love and support for the women and men who keep your streets safe and clean from trash? Buy your Stickers and ‘Thank You’ Card or download the FREE coloring book today! Simply fill out the order form below. Show some love for your garbage workers with these unique 3x6 inch stickers. They are nearly indestructible, vinyl, indoor/outdoor quality stickers that will look great on your vehicle or trash container. Shipping is included in all Sticker prices. Nothing says "thank you" like an old fashioned personal note! Give it to your sanitation workers directly, or even tape it to your trash can for them to easily find when you are not home. This is a digital download. A printable PDF will be available for download immediately after your purchase. Perfect for kids and those adults who like to color outside the lines! 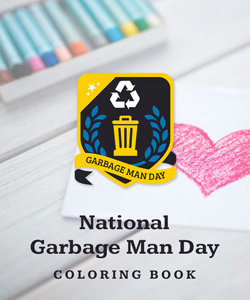 This free downloadable coloring book is fun for everyone. 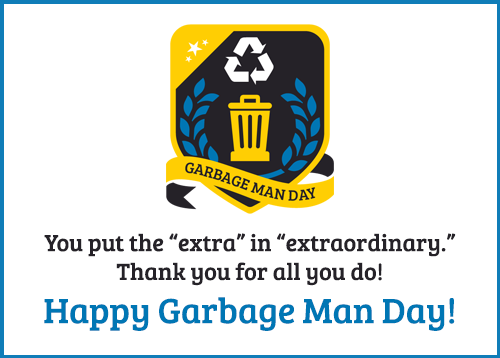 Thanks for supporting National Garbage Man Day! This is a digital download. A printable PDF will be available for download immediately after completing your order.